Daryl Johnson (Worcester Park, United Kingdom) on 23 August 2007 in Architecture and Portfolio. although it's difficult to identify, I like the contrast and the black color. It seems a building? @Xoroi: Thanks Xoroi. Its the Asahi Beer Hall, in Tokyo. woaaa.. talk about contrast in a photo! 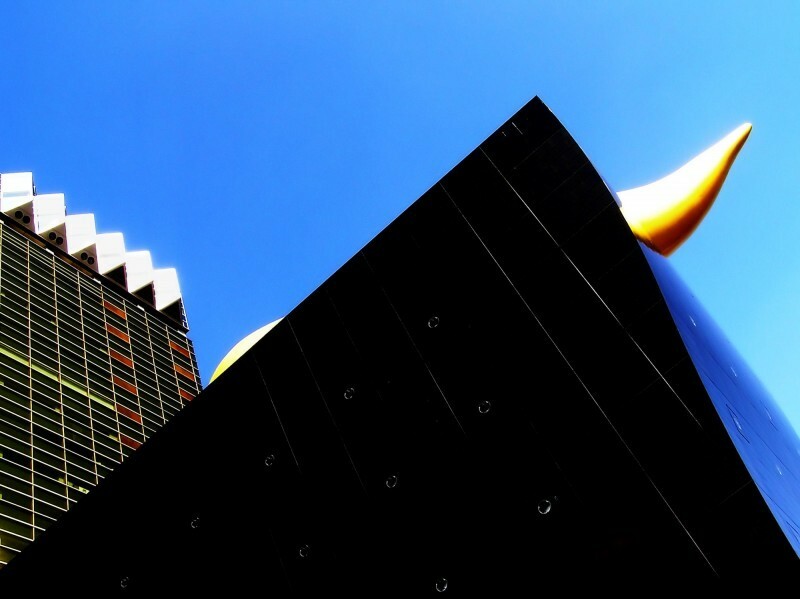 - this looks like the mad raging bull of the architectural world! Great shot. This is a well made architecturefotograph. It's nice, thanks for sharing. @Alfredo J. Martiz J.: Thanks for that Alfredo; I'm linking to that information on tomorrow's shot.